"I wouldn’t answer the marijuana question. You know why? Cause I don’t want some little kid doing what I tried. You gotta understand, I want to be president, I want to lead. 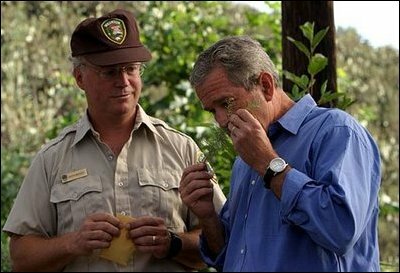 Do you want your little kid to say: "Hey daddy, President Bush tried marijuana, I think I will !" ?"